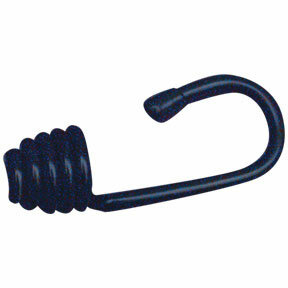 1/4" Black Metal Shock Cord Cone Hook. Painted for longer life and plastic tipped to prevent marking of adjacent surfaces. 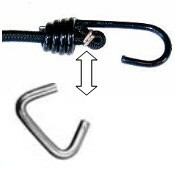 1/4" Bungee Cord will fit cleanly through the opening.